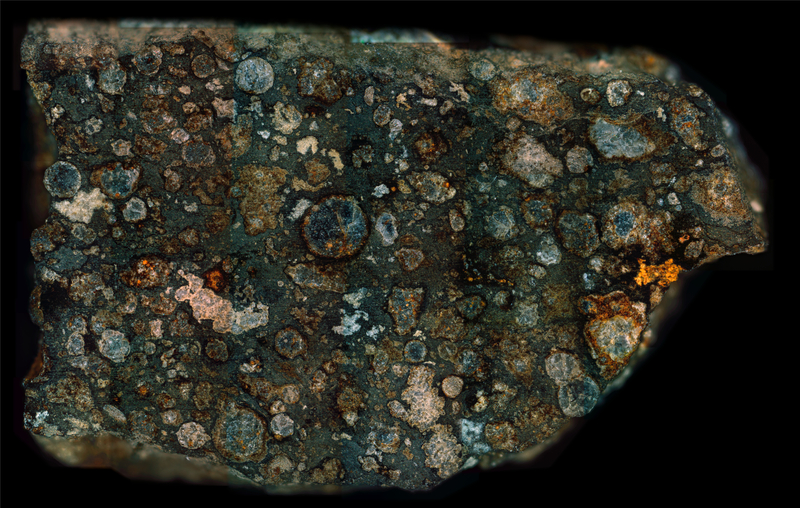 The NWA 2364 meteorite contains the oldest known calcium-aluminum-rich inclusions in the Solar System. 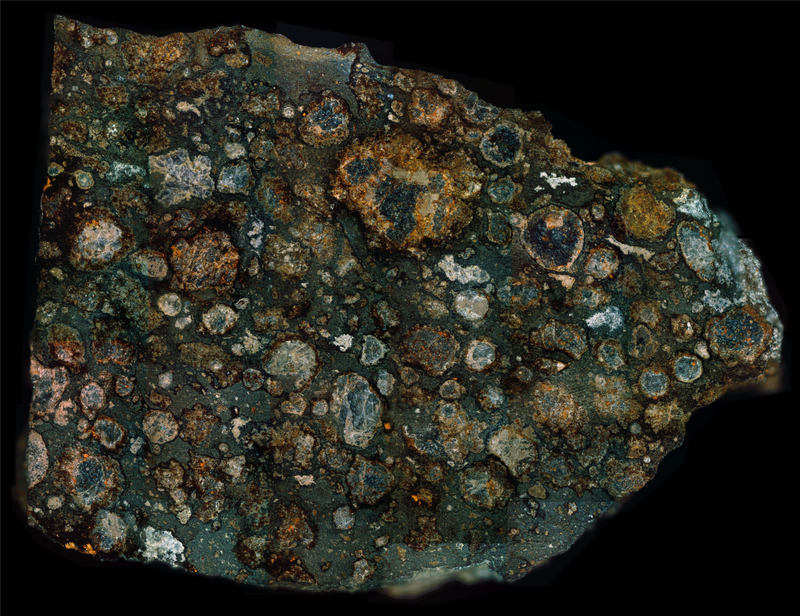 In other words, there is no “pristine” surviving matter within the sphere of human knowledge which is older than inclusions in this meteorite. Future discoveries may yield even more ancient material, however, until that occurs this remains #1. The details are blurred due to two factors. The first being the low quality of my reflected light microscope and its optics. The second is due to the long ten second exposure I was required to perform to capture enough light for the images — this resulted in blurring due vibrations from my environment. NWA 2364 Meteorite Information at Arizona Skies.